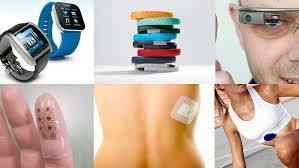 It seems that all the craze at the end of 2014 and CES 2015 is about wearable computing. Definitely a relatively new computing paradigm that promises to put more computing power in the body of consumers. If we put aside the fact that we already carry several cables and chargers for our phones, tablets, and laptops, needing more for our watches, glasses, or other form factors seems a little unwieldy, the paradigm maxes sense for applications like fitness or gaming. But what about the enterprise? Is this new trend going to affect productivity applications as well? There are a few common form factors that have been popular with consumers. Watches, of course, currently dominated by Samsung, at least from the lineup perspective and with the world patiently waiting for Apple’s watch that promises to be a hit for Apple fans. These form factors are typically centered around notifications of email, text, calls, etc., which means an accessory to a phone. There are also the fitness band form factors, like fitbit or jawbone’s specifically to track activity and sleep. Most watches track these too, but are not dedicated or optimized for it. Then we have glasses, made so popular by Google Glass, now not for sale anymore, that promise to move the displays to a more intimate experience. Gaming and information “snacking” tend to be the ideal use cases for them. The least popular form factor is the smart badge. Companies like Zebra (formerly Motorola Solutions), Vocera, etc. have been bringing some to market for vertical applications like retail task management and healthcare patient care. These offer little future for consumers in this blogger’s opinion, but perhaps a better option for these niche vertical applications. However, all of these lack the proverbial “killer app” to make them not only mainstream, but the next money maker for tech companies. Enterprises have been working with wearable computers from quite some time in productivity applications. The obvious benefit is the ability to work hands free in environments where the job itself requires the continuous use of the hands. But we have not seen them in customer facing applications, mainly because most designs are really a handheld mounted on the body. Hardly an aesthetic thing you will be comfortable wearing when you are assisting, let’s say a patient in a hospital. Miniaturization in technology, the ever advancing Moore’s law, printed electronics, and sensors are changing the way these devices will be designed for sure. This last area, sensors, it what perhaps provides the most attractive reason to adopt wearable technology in enterprises. If you think about highly physical tasks, like warehouse or construction workers, imagine looking at these activities as we see athletes today!! That looks very promising and it also seems to be a necessary stepping stone to adopt automation in these activities. You first need to fully understand how an intelligent human performs a task like that before you teach a machine to do it. In any case the biggest hurdle is that it is still another battery to manage. If you have ever used a smart watch or a bluetooth headser, for example, keeping it charged is one more thing to worry about. So that will limit their appeal particularly in productivity applications, since battery management is usually a complex chore that needs to be minimized. Advances in battery and wireless charging technologies are what will eventually make these really take off. One more problem for massive enterprise adoption is that most of the current wearables are not stand alone. Few are, but the battery life is abysmal. This means there is a “real” computer somewhere else, typically a smartphone, doing the task and the “smart” accessory just presents the information it in a different way. This not only means another device and battery to manage with its cost implications, but adds unnecessary information “jumps” that will cause latency and inaccuracy problems. Hardly a good thing for productivity applications. So, my loyal reader (singular) for wearable technology to really take off it will have to be either a true computer that is worn, or with a dedicated cloud with low latency that provides the computing power for the task. That doesn’t mean it won’t happen, it just means it will happen through a different paradigm than that of consumers. And that may be a good thing. There is also the additional problem that most workflows are not designed for wearable technologies. Except for some of the top 100 companies in the world, there is little activity designing and optimizing tasks for wearable technology. This is of course a “chicken and egg” problem. There are not enough wearables to optimize workflows to and there are not enough workflows optimized for wearables to drive mass design and adoption. However, this will probably be changed by consumer wearables. We already see enterprise application giants the likes of SAP and Oracle experimenting with Google Glass for warehouse and healthcare applications. Granted, these are not the right devices, but they do give the idea of what can be done. So, advancement in electronics, computing power and the never ending need to make every operation more efficient will be the catalyst to a significant growth in wearable technologies in the enterprise. But before it becomes the preferred paradigm, battery and charging technologies need to improve. And when they do, workflows will be redesigned to account for the new, more efficient way to do them with wearable technology in workers’ bodies.